Beachbody coaching available in Canada!? Huge Huge News regarding Team Beachbody Coaching in Canada! Read below for the full details!! Canadians and fitness enthusiasts who have done workout programs such as P90X, Insanity, TurboFire, Shakeology or other Beachbody Products have been waiting for this day for a while now. Ever have since the launch of the Team Beachbody coaching opportunity to the US a little over 5 years ago Canadians have been anticipating when they too can start changing peoples lives physically and financially by becoming a Team Beachbody coach. Well wait no longer my friends to the North!, the Team Beachbody Canadian Coaching Opportunity wait is now over! I have been approached by many Canadians who have gone through a program and gotten amazing results that they wanted to share with the world. Only problem was they could not be a Coach and take advantage of all the discounts and monetary benefits of recommending and helping people who use products such as P90X because they lived in Canada! Honestly, I would feel the same way if I lived in Canada too! Personally the Team Beachbody Coaching Opportunity has opened so many doors for my girlfriend and I. If I hadn’t became a coach I still would have been an out of shape, broke loser working a dead end job for 80+ hours a week while still managing to only be able to live paycheck to paycheck. The Team Beachbody Coaching Opportunity for me has enabled me the flexibility to not be a slave to my job and be able to do what I am truly passionate about, helping people. Now that the Team Beachbody Coaching opportunity is open to Canada, the doors are open to other countries and we are one step closer to ending the trend of obesity in the WORLD. Yes!!!! At the latest Beachbody Coach Retreat in Dana Point, CA it was announced that the long awaited inclusion of Canada into the Beachbody Coaching Opportunity has finally arrived. Starting October 1st, 2012 Canadian residents can now become TEAM BEACHBODY COACHES during a special “pre-launch phase”! On OCTOBER 1st, Canadian residents will be allowed to sign up for the U.S. teambeachbody coaching opportunity!!!! Take notice above that I said Canadian citizens can sign up for the U.S. coaching opportunity. What this means is that you will be a teambeachbody coach just like a U.S. citizen would be, and that you will receive commission payments in U.S. dollars and get U.S. tax documents for your coaching business. Once the final launch is complete (estimated to be mid 2013), your U.S. Beachbody coaching business will seamlessly transition to a Canada Beachbody coaching business account with Canadian currency, Canadian tax documents, and a Canadian distribution center for your customers. You won’t lose any customers or downline coaches when the full launch happens. The Canada Beachbody Coaching “Pre-Launch” is simply your opportunity to get started now! Be the first in your area to plug people into challenge groups, get them moving toward a healthy and fit lifestyle, and be able to be their official Canada Beachbody coach! You can’t “re-sell”. This means you can’t buy products from teambeachbody.com and then re-sell them on the market. You need to have your customers order through teambeachbody. Honestly, that’s the only way I do business anyways, so this shouldn’t affect you a bit. That’s it. So as you can see, you now have the long awaited opportunity to be part of the U.S. Beachbody Coach network as a Canada Beachbody Coach! You can grow your base of customers and coaches, and start to tap into an untapped market. The sky is the limit! I am so pumped that this day is finally here! As those of you in Canada know, some Beachbody merchandise is available through retail outlets like Walmart. These contracts will stay in force for the next several months, but the plan of corporate is to phase out the retail pipeline as the network pipeline grows. There is simply no substitute for having a coach to hold someone accountable and motivate them to reach their full potential, and that’s what’s been missing with the retail approach … until now! Plus, the teambeachbody price will be LESS than retail in Canada, so you will have the competitive advantage over the “Walmarts” with your new Canada Beachbody Coaching business. All contests like the Beachbody Challenge are open to Canadian citizens and coaches, so you’ll definitely want to encourage the people you coach to enter them and win prizes. And of course, when you sign up as a coach, I will follow up with you and plug you into our team training to get you off to a roaring start as a Canada Beachbody Coach. There are nearly 90,000 Beachbody coaches in the U.S. right now, and there is still a LOT of room for more. Obesity is an epidemic here. And it is in Canada too. And right now there are 0 Beachbody coaches in Canada. You do the math. What an opportunity! Remember, you can’t sign up until October 1st. But on October 1st the doors swing wide open! Be ready to take advantage of this MONUMENTAL opportunity if you are passionate about helping people get healthy and fit! To study more about teambeachbody coaching and decide if it’s a good fit for you, I’ve put some FAQ’s together HERE. IMPORTANT!!! Why you should choose which coaching team you want to be on VERY CAREFULLY. Although this is my website and I am a Team Beachbody coach who is looking for like minded fitness individuals to join my team, this is not what this article is all about. I’m not going to spam here saying that you should choose my team and that we are the best but I will say this. Do your research on which coaches team you join! There are many key factors to consider when choosing a coach, such as their current rank, time doing the business, their success with the business, which leg you will be placed on (strong or weak), etc. Before you signup to be a coach on somebody’s team make sure you know you are signing up with the right people! Does the coach have a team training website besides for the “coach online academy”? Are they well established? What kind of training system do they have in place? Are they available for one-on-one consultation? What is their philosophy? Are they in the business to help people or just to make money? 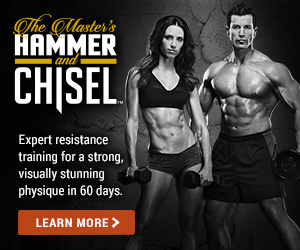 If someone decided to bootleg a Beachbody DVD would that coach still be willing to help them? Do they have the same morals as you? Choosing a team is all about choosing the PERFECT FIT. Remember if a coach is truley looking out for your best interests, and isn’t trying to make #’s for rank advancements, they would be fine if you didn’t pick their team. Coaches should build their team on a solid foundation and not on a deck of cards where their down line coaches feel pressured to join a team, then have a bad experience and 3 months later become inactive and give up on the business! I URGE you to treat the Beachbody Coaching Opportunity in Canada just like a job search! Just like any other job in the world, the companies rank, statue, earnings, or other things does not equal success for you personally. You can work at a Fortune 100 company and be miserable and work at a start-up company and have the time of your life. Even though you are your own boss by being a Team Beachbody Coach, your still going to be working with your sponsoring coach and their team. 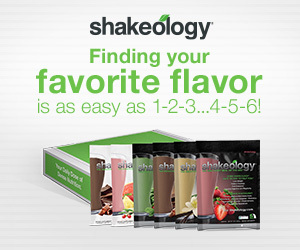 What if they got to where they are by hard-selling Shakeology? What if they are a team of successful network marketers? That might not be the fit for you! See what the sponsoring coach has to offer! Do they have a large team? Do they have a training program? Are they engaging? Does their style of coaching suit you? For example, I personally engage ALOT with all of my coaches. When I say ALOT I mean it gets to the point that my personally sponsored coaches and I become best friends because we talk so much. I like to be as connected as possible and like to have as big of a pulse on their businesses as I do on mine. That puts me in the best possible position to help them. Do some coaches not like that? Totally, some have joined other teams because of it and that’s fine. They’re doing what they need to do to put themselves in the best position for success and that’s totally understandable. All I want to see from anybody that becomes a beachbody coach is that they are with a sponsoring coach that is the PERFECT FIT for them and will be the best bet for them to succeed in this business! Once you become a coach on a team you will be stuck on that team and even if you decide to cancel you wont be able to resign up as a coach for 6 months.. I beg you PLEASE PLEASE PLEASE do your research before jumping in and becoming a coach on somebody’s team! I already have a Team Beachbody account, if I signup to be a coach will I be on your coaching team? Maybe….It all depends. Am I currently your coach? Are you sure you have a teambeachbody account? If you already have a team beachbody account you can find out if I am your coach by logging into teambeachbody.com, hover over “connect” and click “my coach” or by logging in and going to http://www.teambeachbody.com/connect/coach. Does the page redirect you to http://www.teambeachbody.com/member/sn/ericburgan ?? If it does than I am your coach, if it doesn’t bring you to my page than I am not your coach and you will have to make a coach switch! If I’m your coach then you are all set and you can easily just create a coaching account and you will be on my team. **NOTE** If you already have a teambeachbody account, you will have already been assigned a coach, and to become a member of my team you will have to make a “coach switch”. To make the coach switch to me, you simply have to send a one line email to [email protected] telling them that you want ERIC BURGAN, coach # 64961 at [email protected] to be your coach. Make sure to include your FULL NAME and email address. Also, be sure to CC (copy) me on the email so that I will know to follow up and make sure the switch goes through. If you don’t already have a Team Beachbody coach and would like me to be it you can easily signup HERE and I will become your coach! If you want a full FAQ on the specifics of the Canada Beachbody Coaching opportunity (beyond what I’ve shared here) I’ll put that together and post it early next week as corporate gets it to me. ***If you bookmark this page to come back to on or after October 1st, here is the link to sign up for the Canada Beachbody Coaching opportunity! Or better yet, if you’d like an email reminder from me the day before, email me at [email protected], or facebook me at facebook.com/ericburgan, or call/text me at 208-357-8748 and ask to be added to my CANADA COACH email list!